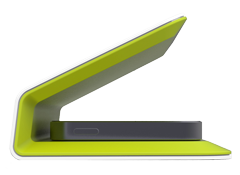 Modern style with colors to complement any bedside or tabletop surface. 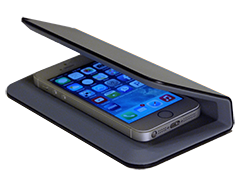 In recent years, cellphones have dramatically increased in capability and become a permanent part of our lives. The problem is, science doesn't yet know how they will affect our bodies when used over decades. eFLEKTOR is here today to provide a lifetime of protection. 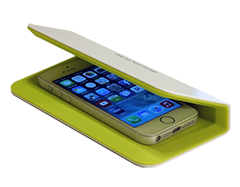 The radiation emitted from cellphones is in the form of small radio waves known as microwaves. This energy is the same type used to heat food in a microwave oven. These waves can pass into our bodies or through the walls of our homes, but they cannot pass through metal. 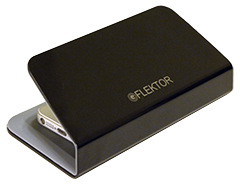 The eFLEKTOR contains a heavy-gauge galvanized solid steel core, carefully designed to safely reflect a phone's radiation away from your body. 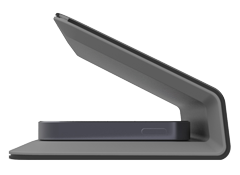 Orienting the eFLEKTOR with its opening facing away puts solid steel between you and your phone. The phone can still communicate outwards in the open direction, but is blocked on its path through you. 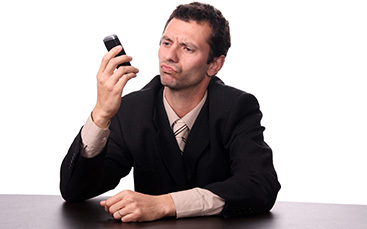 By keeping the phone out of sight, a potential benefit in a workplace setting is reduced distraction and increased productivity for yourself and others. Will my phone lose signal? And will I still be able to hear it? The answer depends on the area where you use the eFLEKTOR and the placement of nearby cell towers. Typically, in urban or suburban areas, a cellphone is in range of many towers at once and signal will not be affected. However, in more rural areas, your phone may be dependent on a single nearby tower. We recommend trying your eFLEKTOR in its intended location to see if signal is adversely affected. If signal is reduced due to dependence on a single tower, moving the eFLEKTOR to your opposite side should return signal strength to its previous levels. If you use your phone as an alarm clock, or need to be woken by a text message or phone call, you may wish to increase the volume of the notification or ring tone. 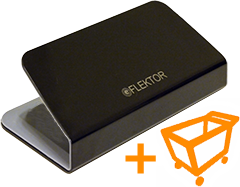 Every eFLEKTOR features our patent-pending shielding design. 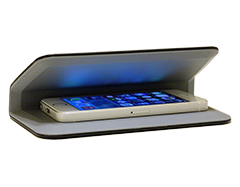 The interior is covered in texturized soft-touch coating, providing a safe, slip-resistant, and scratch-free place for the phone to rest. Its rubberized feet ensure everything stays put. Today it is offered in a modern white and lime green, or classic piano black with charcoal gray interior. 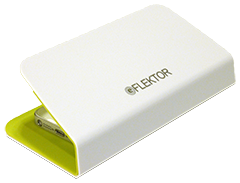 eFLEKTOR is a great choice for those seeking effective insurance from the possible long-term effects of cellphones on their family, their coworkers, or themselves. Get yours today! 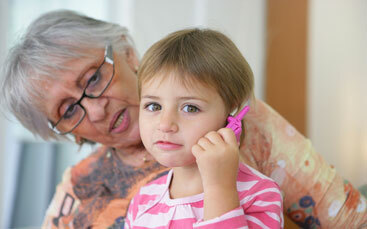 Today's children are asking for - and receiving - their first cellphones at a very young age. Cellphones are here to stay, and today's children will have to contend with the long-term effects of an entire lifetime of their use. 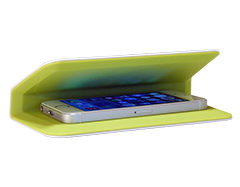 An eFLEKTOR provides a perfect place for your child to be taught to place their phone every night, as part of their cellular safety education. 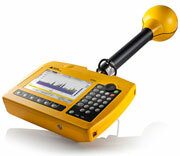 The eFLEKTOR was extensively evaluated with high-end industrial test equipment (the Narda SRM-3006, pictured) to establish our claim of over 99% reduction in direct exposure. 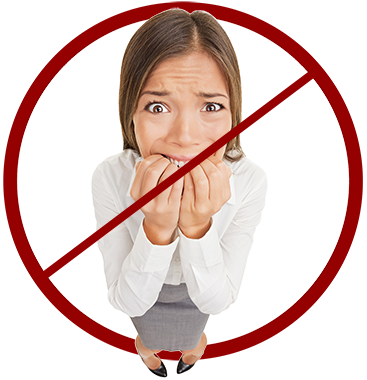 You can read more about our testing procedure on our testing page. 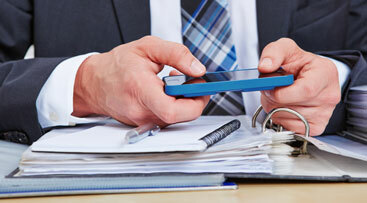 Individual opinions on the subject of cellphone health effects vary widely. At eFLEKTOR, we welcome all perspectives, and wish to provide a positive and enlightening experience to everyone. As the company began, we found most others making radiation protection products operated by preying on the most concerned and vulnerable individuals. They presented only the "scariest" information, and overstated the overall confidence level of the scientific community in this information. Worst of all, most were selling products that simply didn't do anything, at very high prices. We don't agree with that approach. We believe in education and informed rational decisions. We provide the InfoCenter - the Internet's most extensive and balanced source of information on the subject of health and modern electronics. We believe a reasonable choice based on today's best data is to use the Precautionary Principle - which, simply put, says "We aren't totally sure what cellphones will do to us long term, so for now, try to minimize exposure - just in case." 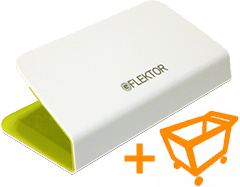 The eFLEKTOR is designed to enable this for your family, your employees, and for yourself. 2015-07-28 - Cell phones and risk of brain tumors: What's the real science? 2015-02-04 - Mythbusters: Does This Cause Cancer?